Set on 2.5 acres nestled amongst the gum trees. 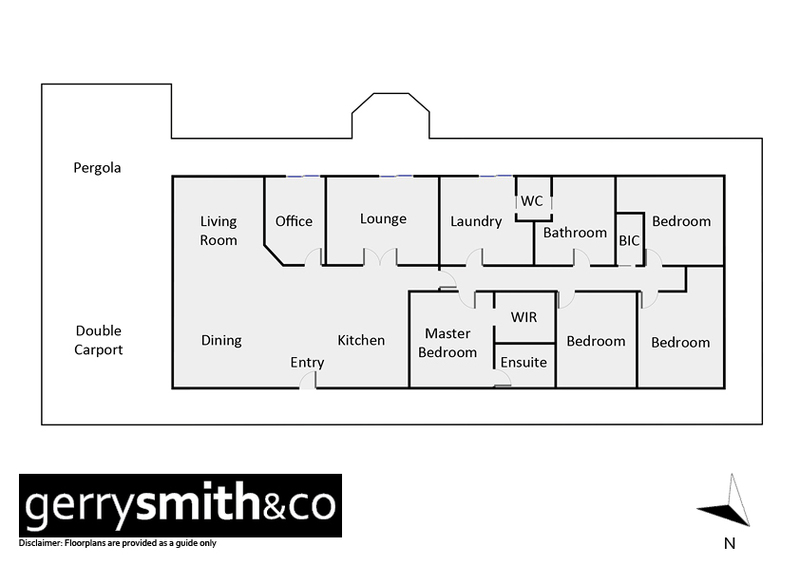 Comprises 4 bedrooms plus office, bathroom and ensuite, large L-shaped kitchen / living rooms and separate family room. Double carport and large alfresco area, 20x30 foot double garage plus 60x30 foot shed with concrete floor. 5 kilowatt solar system and rain water tanks in parkland setting.